Come melt some stuff! Fusing is a medium with endless possibilities! 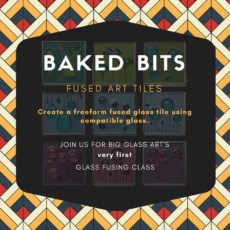 You’re given a glass tile as your base and allowed to create anything you’d like! After firing, patrons will return to pickup their completed project. Celebrate the season and create a keepsake to give or cherish! 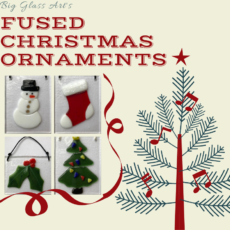 Choose your Big Glass Art original design to create and embellish! Students will have access to all kinds of glass fusing items from crushed glass, to paints to make your piece your own!